Miss Bracken, writing in 1860, could say of Sutton, “Here the cottager, rambling in search of his depastured cattle, feels the pleasure of possessing rights, not the less acceptable that he shares them with his richest and his poorest neighbour.” The happy cottager, if he ever existed, was already an anachronism in 1860, but the labourers, working men and widows who lived in humble cottagers did still have rights, though not as much freedom as when half the land was open commons a century earlier. Rights enjoyed by the poor cottagers in the eighteenth century were mainly to do with the commons and the Park. These rights were regulated by the Court Leet - rules issued in 1802 relate to horses and cattle in Sutton Park, digging peat for fuel, gathering dead wood for cooking fires, taking gravel and making saw-pits, and “Cottagers may have not more than fifteen and servants not more than six sheep upon the commons”. There was a proposal to enclose the commons in 1778 which was strongly opposed - one of the protest songs was the lament of a poor widow whose livelihood depended on the commons, beginning “My ewes are few”. Cottagers were entitled, along with everybody else, to a lot acre, a small field on the common where crops could be grown, and most of them had some geese and a pig, but their main income was from their wages as labourers or from cottage industries such as weaving and nail-making. In 1677 Edward Dickman of Hill Hook was sometimes in need of parish relief when there was no work for him as a miller, but usually he could get by thanks to the horses he kept in Sutton Park and his flock of twenty-five sheep on the commons. Edward Dickman was one of 124 Sutton householders who were exempt from paying the Hearth Tax in 1674 year because of their poverty. Most of them lived in cottages with just one hearth; of the 183 households which did pay the tax, 75 had just one hearth, so their houses may have been little better than cottages. By 1721 the number of families had increased from 310 in 1674 to 360, 114 of them being cottagers. Generally, cottages were built on waste ground, with an annual rent payable to the Corporation. By the eighteenth century many of the larger farms employed full-time farm workers living in nearby cottages, often built of brick to a better standard, such as Fairview Cottages which stood until recently opposite Fairview Farm in Bulls Lane. 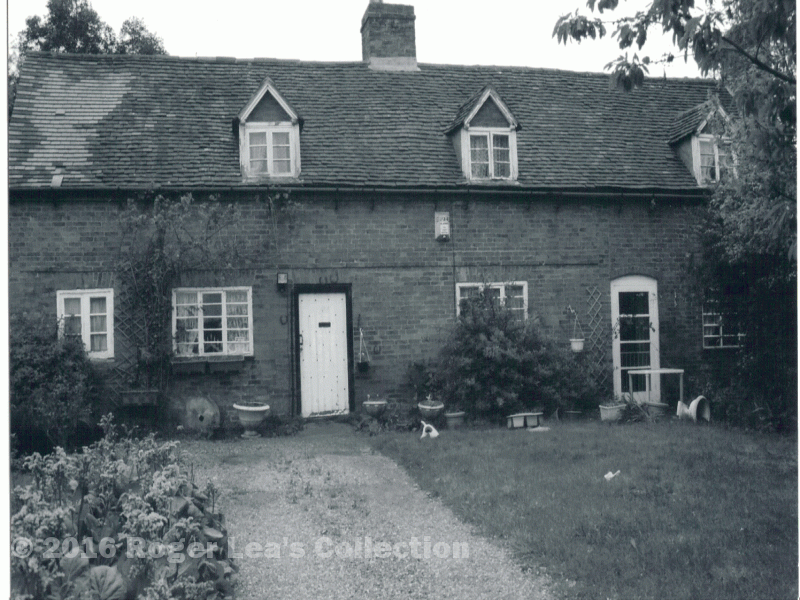 Fairview Cottages, built in the eighteenth century for farm labourers, stood in Bulls Lane. (Demolished 2008).